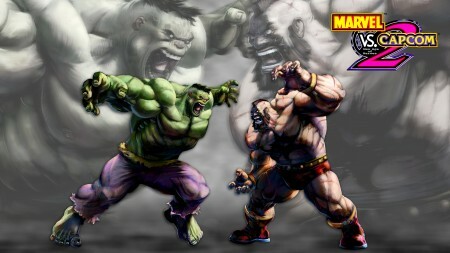 Capcom will be releasing a mix tape alongside their Marvel Vs. Capcom 2 release, featuring a number of well known hip-hop artists. That’s pretty awesome, but what’s even more awesome is you can grab a limited edition full-size vinyl of the album. At Comic-Con. Which is on the wrong coast for me. 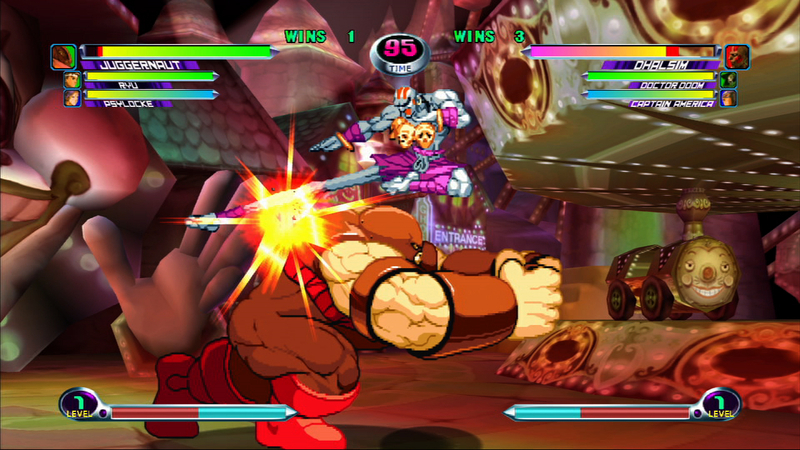 Yep, it’s coming to the Playstation Network on August 13th for $15. 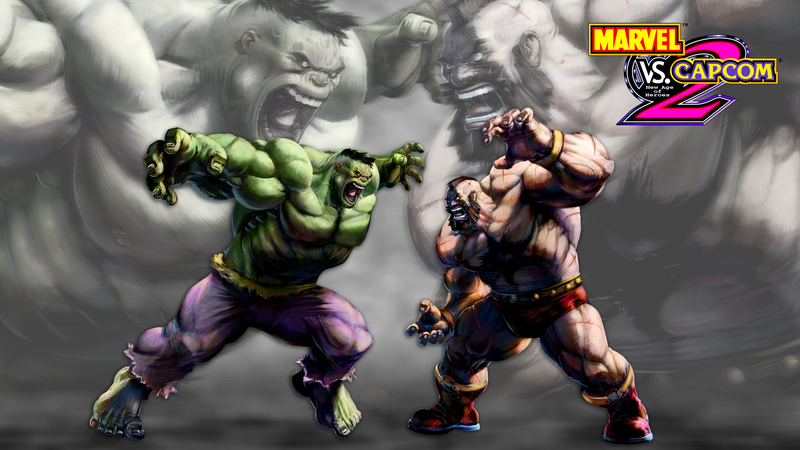 Get ready to dust off the Adamantium claws and dig through the sock drawer for Ryu’s headband. 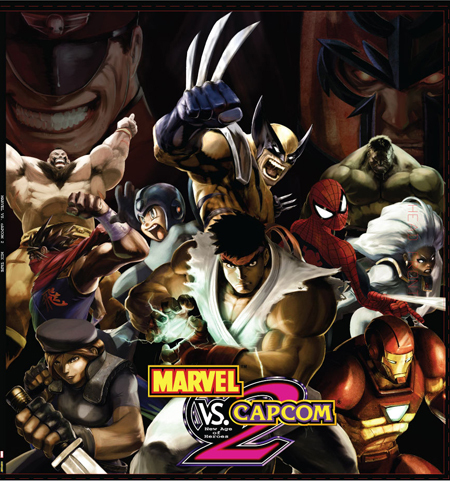 Today we’re announcing that Marvel vs. Capcom 2 will be available via PlayStation Network on Thursday, August 13 for $15. 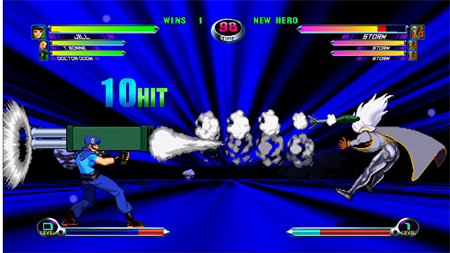 Basically, this is the best fighting game ever. The day you ‘ ve been waiting for is just around the corner. Today we are announcing that Marvel vs. Capcom 2 will be available globally as part of Microsoft’ s “Summer of Arcade” through Xbox Live on Wednesday, July 29 for 1,200 Microsoft Points. The soundtrack will be available through Marvel.com, Capcom-Unity.com, and tu4ar.com. 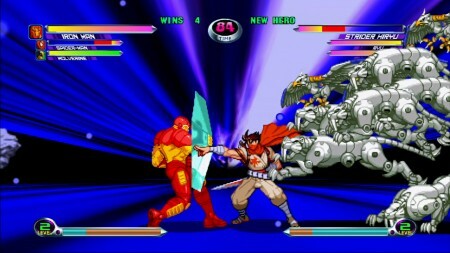 Marvel Vs. Capcom 2 is probably my favorite fighting game, ever. Sure, it’s not balanced, but it’s fun seeing so many different characters beat the crap out of each other. HD graphics can’t hurt, or online play.